Who Are Apple Really After In Their HTC Lawsuit? Yesterday Apple [AAPL] announced that it would be suing smartphone maker HTC, for allegedly infringing more than twenty patents relating to Apple’s iPhone, and relating to multi touch. The majority of the patents relate to smartphones produced by HTC running Google’s Android smartphone OS, as well as a couple related to windows mobile, but is HTC Apple’s real target, or are Apple looking to stop multi touch patents being infringed by Google’s Android OS? When Google launched their first smartphone, the Nexus One it didn’t have multi touch enabled, although HTC smartphones have had this feature enabled for quite some time. This was a feature that Google enabled in the Nexus One recently, and it seems too much of a coincidence that Apple are filing a lawsuit against HTC so soon after the Nexus One enabled multi touch with a pinch to zoom feature. It makes sense for Apple to sue HTC rather than Google, as they are a much smaller company and don’t have the deep pockets that Google do, and if Apple wins the case against HTC, they will then have grounds to go after Google and their Android OS. Since Google launched their Android OS, it has been gaining ground on Apple’s iPhone OS, although it is nowhere near as popular, Apple obviously sees it as a serious competitor. If Apple wins the case against HTC, it could not only affect Google and their Android OS, but also a large amount of mobile phone makers who use similar multi touch technology. 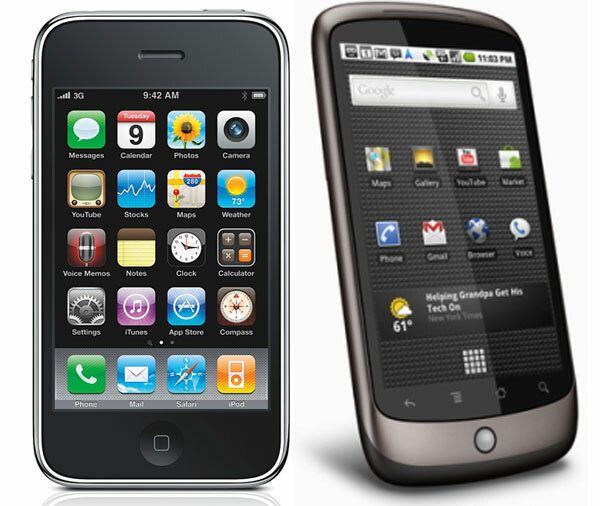 Have a look and our article on Android vs iPhone to see which smartphone and mobile platform is best for you.